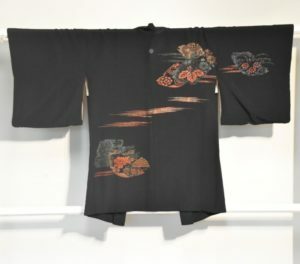 Embroidered fans on Japanese fine black silk. 1330 mm’s across and 760 mm’s long. In good condition. SKU: 13740. 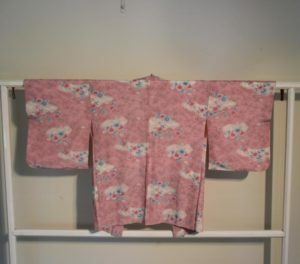 Categories: Haori, New Arrivals, Textiles.